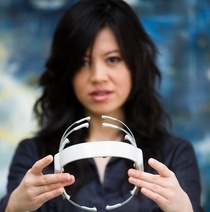 Tan is the recipient of numerous awards including the prestigious 2018 Innovation Research Interchange (IRI) Achievement Award as a pioneering leader in the development of mobile EEG systems and in advancing understanding of the human brain; G'Day USA Global Innovation Awards, Advance Global Australian Award for ICT, AutoVision Innovations Award, Monash University Distinguished Alumni Award. She was named a National Geographic Emerging Explorer in 2013. She has been featured in the Who's Who in Australia list since 1999, Fast Company's Most Influential Women in Technology in 2010 and Forbes' 50 Names You Need to Know in 2011. She has also been an Ambassador for the Status of Women since 2001. 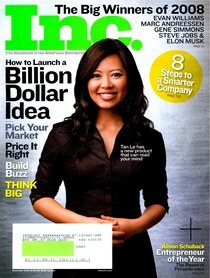 Named Young Australian of the Year in 1998, Ms Le's story is featured in the National Museum of Australia. She was selected by the World Economic Forum as a Young Global Leader in 2009. Many challenges facing today’s leaders cannot be addressed by a single government, industry, company or other institution alone. The issues are often too complex, interrelated and rapidly evolving. A broader, interdisciplinary mobilization of expertise and resources is required. The Stewardship Board is comprised of government ministers, CEOs and leading experts, who assume an informal, collective sense of stewardship for the public-private dimension of international cooperation and progress on shaping the future of the World Economic Forum's systems towards a sustainable flow of information, content and data to inform, entertain and educate, while empowering society. A member of the foremost interdisciplinary knowledge network dedicated to promoting innovative thinking on the future. The network convenes the most relevant and knowledgeable thought leaders from academia, government, business and civil society to challenge conventional thinking and develop new insights and perspectives on the key global systems, as well as the impact and governance of key emerging technologies: Neurotechnologies, AI, Robotics, Precision Medicine, Blockchain and their societal and business applications. Non-executive director of a fast growing, early stage start up developing consumer medical grade device products. Involved in strategic positioning & communication, product definition, key team hires & early stage financing rounds. Plan in Australia is part of Plan globally and is one of the world's largest community development organisations committed to ending child poverty. Plan works with children, their families and communities in 49 countries in Asia, Africa and Central & South America. Plan helps communities to help themselves, so that children have opportunities to develop into healthy, educated adults. Non-executive director of a non-profit involved in strategic decisions around development programs, technology adoption, governance & advocacy. The Royal Melbourne Institute of Technology is one of Australia’s original and leading educational institutions, producing some of Australia’s most employable graduates. With more than 60,000 students studying at RMIT campuses in Melbourne and regional Victoria, in Vietnam, online, by distance education, and at partner institutions throughout the world, the University is one of the largest in the country. Advised on strategic direction, communication, curriculum, assessment & supporting frameworks for the creation and delivery of an undergraduate degree in Entrepreneurship. The Australian Citizenship Council was established in August 1998 as an independent body to advise the Minister of Immigration and Multicultural Affairs on contemporary issues relating to Australian citizenship. Founder & CEO of EMOTIV, the global leader in neuroinformatics. The company leverages large scale brain data to build machine learning models that advance understanding of the human brain and to augment & enhance human performance. EMOTIV’s mobile brain sensors and cloud computing platform can monitor and analyze the detection of people’s cognitive functions in real-time and at scale. The company is partnering with Fortune 1000 companies, applying its advanced mobile and personalized neuroinformatics solutions to improve operations, enhance customer experience and create personalized evidence-based strategies powered by behavioral and brain insights. Co-founder & President of Emotiv Systems, a neuroengineering company that developed a breakthrough interface technology for digital media taking inputs directly from the brain. Co-founder & President of SASme Internation Pty Ltd, a wireless technology company. SASme was a pioneer in providing SMPP platforms to telecommunication carriers and content aggregators in Australia, with branches in Asia and Europe. Tan was part of negotiating a successful merger for SASme in 2003. Freehills is an Australian-based international law firm, providing innovative, commercial legal advice to clients around the world, with the resources and expertise of around 1000 lawyers, including more than 200 partners across offices in Australia and South-East Asia. The idea of bravery can have different levels of significance depending on the context. In the sense of this series, the term is used to describe people who walked away from thriving careers to take a chance as entrepreneurs. The show charts the rise of successful businesspeople through intimate one-on-one interviews, looking at the trajectory of their success and examining what makes them brave. The show's guests include serial entrepreneurs and corporate executives who keep the entrepreneurial spirit alive. Tan Le, a technology entrepreneur and business executive, tells the story of her family across three generations of women. 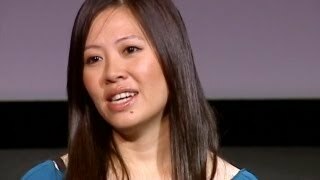 She recounts her family's journey from Vietnam as refugees and how she made her own path in an uncertain world. http://www.ted.com Tan Le's astonishing new computer interface reads its user's brainwaves, making it possible to control virtual objects, and even physical electronics, with mere thoughts (and a little concentration). She demos the headset, and talks about its far-reaching applications. Presentation at the Entertainment Gathering 2008 and live demonstration with Marvin Minsky, pioneer of Artificial Intelligence.